Ya Jagoff!!! | YaJagoff Podcast, Episode 77 - The First of 4 J & D Waterproofing Porch Tours! 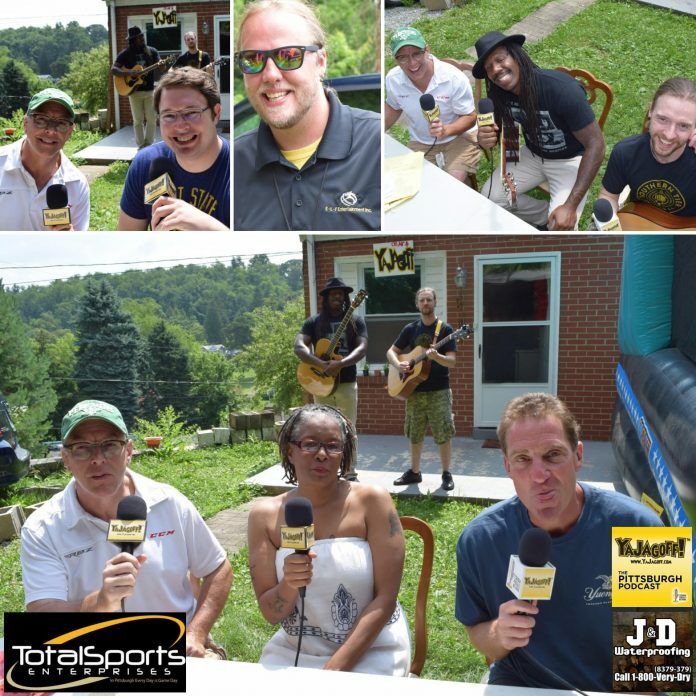 YaJagoff Podcast, Episode 77 – The First of 4 J & D Waterproofing Porch Tours! Don’t see the player bar above? Click HERE to listen while you work, rest or play! SPONSOR: Total Sports Enterprises is counting down the days to grid iron season. The rough and tumble Steelers will begin training camp at the end of this month, but before camp begins, Pitt Panther turned Steeler James Conner will be the focal point at a special signing and meet and greet next Thursday at Bados with our friends at the FAN. Join TSE, James Conner, and the FAN for a football fan’s dream night next week. Visit tseshop.com for more details. Next articleVideo 5-Year Anniversary! Who Was The First Yakkin?